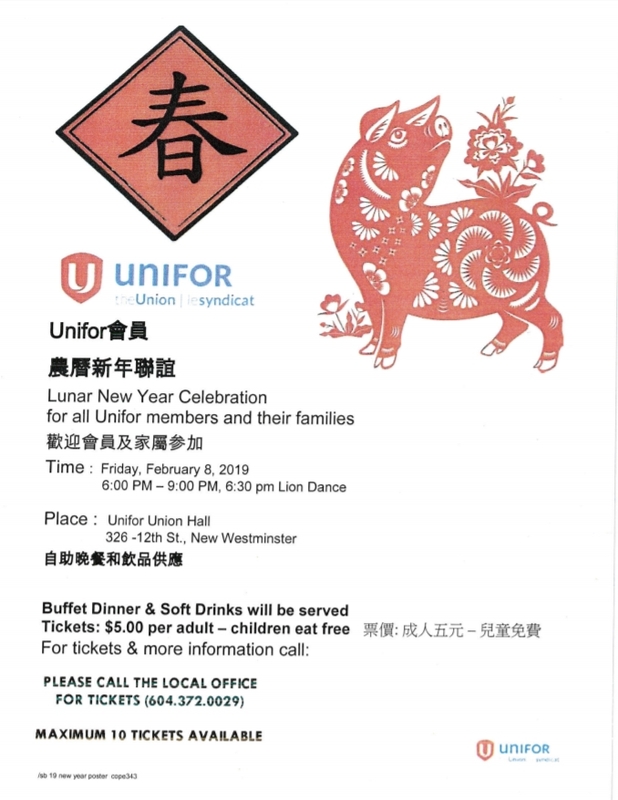 Unifor will be holding a Lunar New Year Celebration for all Unifor members and their families. The event will be on Feb 08, at the Unifor Hall in New Westminster. Tickets can be purchased by contacting the Local 780G office at (604) 372-0029.